The West Yorkshire Racial Justice programme closed in March 2016 after 23 years. The Trust is proud of what has been achieved by grantees in West Yorkshire over the last 23 years in terms of advancing racial justice. For more information about the history of the programme see the report The Quest for Racial Justice: a reflection on JRCT's West Yorkshire Racial Justice programme 1993-2011. The last grants were awarded in July 2012 to twelve organisations promoting race equality and addressing Islamophobia. Alongside funding for projects, these organisations also benefited from significant ‘grants-plus’ activities aimed at developing their capacity to be effective and contribute to a strong, cohesive and articulate movement promoting racial justice. This enabled the grantees to learn collaboratively, incorporate new approaches to day-to-day practice, develop shared strategies, and work together for change. We were pleased that the Esmée Fairbairn Foundation collaborated with us on this programme and was able to boost the financial contribution for grant-making. This was a new and exciting collaboration for us. The end of the programme has been marked by publication of the West Yorkshire Grants-plus Directory, and a short film (below) featuring some of the grantees talking about their work and how the 'grants-plus' activities helped them. 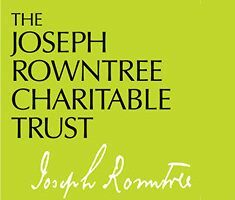 from Joseph Rowntree Charitable Trust on Vimeo.